Students will understand that you don’t need fancy equipment to create art as they marbleize paper designs using household products. They will incorporate different colors and techniques to make each marbleized paper distinctive. Students will learn an art process and technique following specific steps to create unique designs that transfer onto paper. They will collaborate together while developing their marbleized designs, which later may be framed or combined with additional paper and materials and organized into a post card, drawing booklet or portfolio. Using pencils, markers and paper students will create a colorful face drawing. Students will first be guided through a drawing exercise highlighting various facial features. They will then select a small portion of a large illustration depicting a group of multi-cultural youth. Their small section will then be cut out and adhered onto a hexagonal drawing surface. From this, each participant will create a "face" image that reflects his or her individual personality, drawing technique, and creative approach. Students will explore the art of printmaking and design through a simple print process using foam plates, pencils, paper, ink and brayers. Students will employ basic compositional elements while developing a unique image, prepare a printing plate and print a series of black, white and colored designs. After a brief time of introspection students will identify a special word to represent them and then incorporate the word into a design composition. Students will create their own letterforms and integrate color, texture, overlapping and intersecting shapes and patterns and employ various drawing techniques and materials to produce a striking art piece. Students will explore texture using clay, found objects from nature and some human-made materials. Students will experiment to discover how different materials can imprint textural impressions into a 5x5 square slab of clay. These will later be bisque fired and returned to the group for staining or painting at home or school. 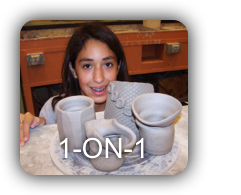 Students will learn about the art element of texture and ceramic processes, locate natural objects with texture and imprint them onto clay. These clay forms could be used simply as design objects or function as trivets or coasters. 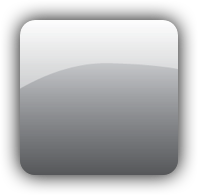 Students will create several high contrast black and white designs using art framing tools and materials. Students will cut and peal special framing mateials to craft strikingly bold designs while giving consideration to line, shape, pattern, and other compositional elements. Using colored pencils, markers and paper students will make several circular designs incorporating their names and other shapes, patterns and drawn textures. These will then be colored, compressed and formed into creative button pins for the students to wear or give as gifts to others. Students will trace, draw, design and color as they learn shading & color blending techniques, differences in simulated and actual textures, warm and cool colors, as well as, consider the meaning of names and how very special and unique they are as individuals and members of a larger community. Students will incorporate simple lines and shapes to produce etched designs on small glass panels. Students will sand, tape, cut, and mask a glass panel, then position their designs and finally apply etching cream to the glass surface. The glass panels are left to etch for several hours and then washed and cleaned revealing frosted shapes and clear areas. This final procedure can be completed at home, school or at Schuler Arts, which would require a pickup arrangement. Students will explore and use line energy found in the letters of their names to develop a striking pastel design. Students will begin with three types of lines having distinct characteristics or qualities. Following some basic instructions they will first layout a foundational composition and then proceed to energize and embellish their drawing while adding other design elements. They will layer and color blend pastel pigment and incorporate a variety of chalk drawing techniques. This introductory class explores the art of creative cartooning, expressive portraiture and artistic design. Students will investigate several drawing methods, tools, and creative approaches to create their own cartoon character design. The class is taught by experienced local artists, Dennis Reid or Jerome Washington. 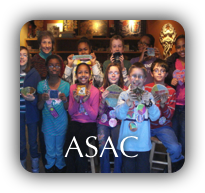 Each activity in this series is suited for middle school and high school youth and is accompanied with a studio tour and demonstrations of art processes and techniques. To register: Click on a specific class title or the Register Now link at the bottom. Private one-on-one and small group art lessons are available for those desiring personalized attention through a more quite, tranquil, and self-reflective creative experience. Class sessions are arranged with a flexible schedule and focus on the specific art interest of the students. This hands-on mural-making activity is presented at your location and is a fun, creative, group-building experience. This two-hour session is for a small or large group and will require a large, open, indoor space and a nearby smaller classroom.